It’s one of the great truisms of the mobile industry: smartphone ownership is rocketing in developing markets. Well, kind of but not really. 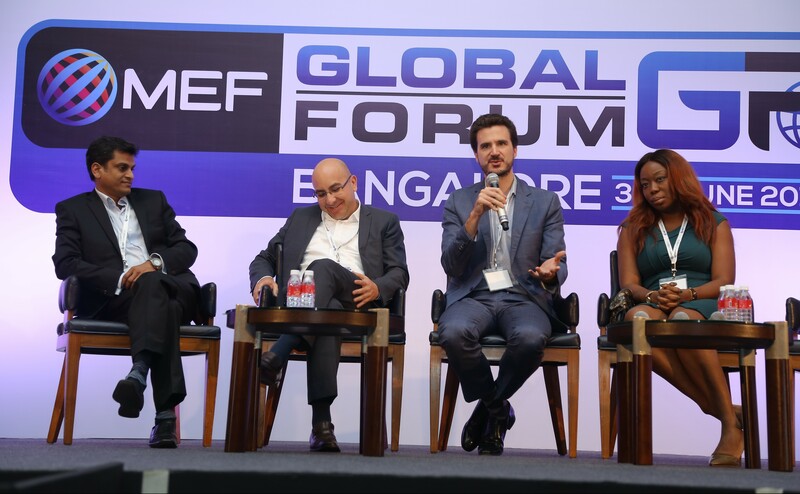 At least according to the operator panel convened at the MEF Global Forum for Mobile First Markets earlier this summer. The event in Bangalore brought together Vodafone India’s Prakash Sayini, Turkcell’s Tahsin Akar, Ooredoo’s Thomas Chevanne and Etisalat Nigeria’s Adia Sowho to debate this question: Are mobile first markets ready for the smartphone revolution? The panellists answers would surprise anyone who has only read the headlines like the FT’s ‘The future of smartphones is in emerging markets’. They give the impression that mobile users in growth economies are upgrading wholesale to smartphones. But here’s what Adia Sowho had to say: “In Nigeria, smartphone penetration is only at 10 per cent. We’re waiting for it to go up but it just hasn’t. “The fact is, this is still a very price sensitive population – and $100 only works for one per cent of market. So we’re working with OEMs – we’ll talk with anybody interested in driving up penetrtation. Ooredoo’s Thomas Chevanne raised a different issue, observing that even when Ooredoo customers have smartphones they don’t use them in the same way as their European counterparts. “We assume smartphone user is automatically a mobile data user. That’s not the case,” he said. “When we entered Myanmar we noticed there were already a lots of users with a smartphone, but with no SIM card. They want a smartphone because it’s a status symbol. They want the best camera, the best organiser. But they use it on wifi. Chevanne believes operators in mobile-first markets will have to work harder than their mature market counterparts to make this happen. Why? Because of one huge factor: the dual SIM. “It’s the key challenge… and it doesn’t exist in more mature markets,” he said. “What does that mean for us as an operator? It means we’re fighting for every call. Every call is a choice. We need to give users a reason to choose us every day. Vodafone India’s Sayini says his MNO has responded to the challenge by opening up its APIs to third party developers in order to give users better products. Meanwhile Tahsin Akar stressed the need for customer segmentation. He said Turkcell resists the temptation to aim for huge mass market services in favour of targeted ones. He gave the example of a service for Turkey’s 270,000 visually impaired smartphone users, which reads the headlines of daily newspapers. Adia Sowho agreed with the targeted approach. She said: :”Frankly I have not found many content services that reach 50 per cent of users. You need to target 100,000 with each one. That’s how you get to your goal. The panel agreed that this combination of openness and perhaps a little humility is the best way forward for operators in the smartphone era. Chevanne said it best: “We have to be frank and recognise we don’t know everything…we have to try things. So, rather than extensive market research, we need to find a quick way to test services with our own base to see what works.